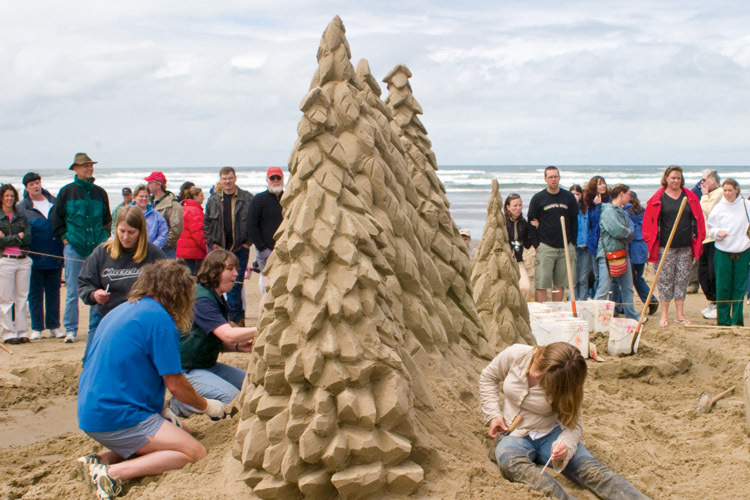 In Cannon Beach, the Pacific Northwest coastal rainforest meets the ocean, where vibrant natural ecosystems offer special experiences for hikers, photographers, wildlife lovers, bird watchers and even casual sightseers. Many colorful and strange creatures live where the rocky coastline meets the sea. As the tide recedes, a unique and diverse environment is revealed in tidepools and intertidal areas. Bright sea stars in a variety of colors cling tightly to rocks. Green anemones lay open like flowers at the bottom of pools. A trained eye will find varieties of crabs, snails, limpets, coral, sponge and colorful sea slugs known as nudibranchs. 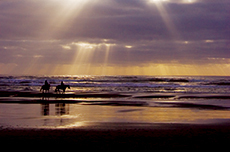 One of the most accessible locations to explore the intertidal zone is at the base of Haystack Rock. Check the tide tables for the lowest tide and arrive ready to explore as the tide is going out. 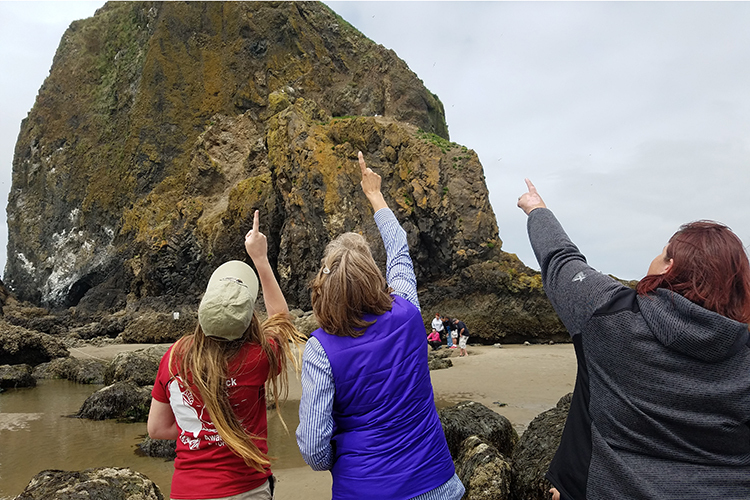 Between March and September, during daytime low tides, the Haystack Rock Awareness Program provides interpretive information on the beach near the rock with displays of live intertidal specimens and spotting scopes for bird watching. Be aware that these areas can be dangerous because of wave surges, slippery rocks and sharp surfaces, so always keep safety in mind. Walk only on sand or bare rock to avoid damage to the life in these amazing natural areas. 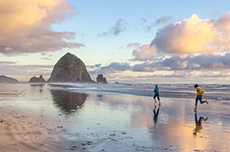 The area surrounding Haystack Rock is designated a "Marine Garden" and all marine life is protected. No collecting of any materials is permitted here and this rule should apply to any intertidal area. 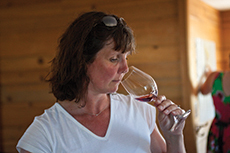 Watch for the many rare and spectacular birds that can be seen here. Haystack Rock's grassy covering provides nesting ground for Tufted Puffins from early spring through early summer, offering the Northwest's most accessible location for viewing these brightly colored characters. 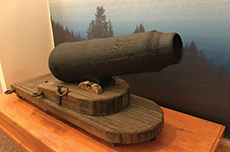 Many other varieties of birds feed, visit or nest on Haystack Rock including Western Gulls, Pigeon Guillemots, cormorants, Bald Eagles, Harlequin Ducks and Black Oystercatchers, making it a year-round attraction for bird watchers. Tens of thousands of common murres can be seen in spring and summer on Bird Rocks near Chapman Point. Many varieties of shorebirds are spotted on beaches and along the Ecola Creek estuary during spring and fall migrations. Look for a variety of seabirds and ducks in fall and winter. From spring through fall, pelicans can be observed soaring just above the waves or diving into the water with a splash. 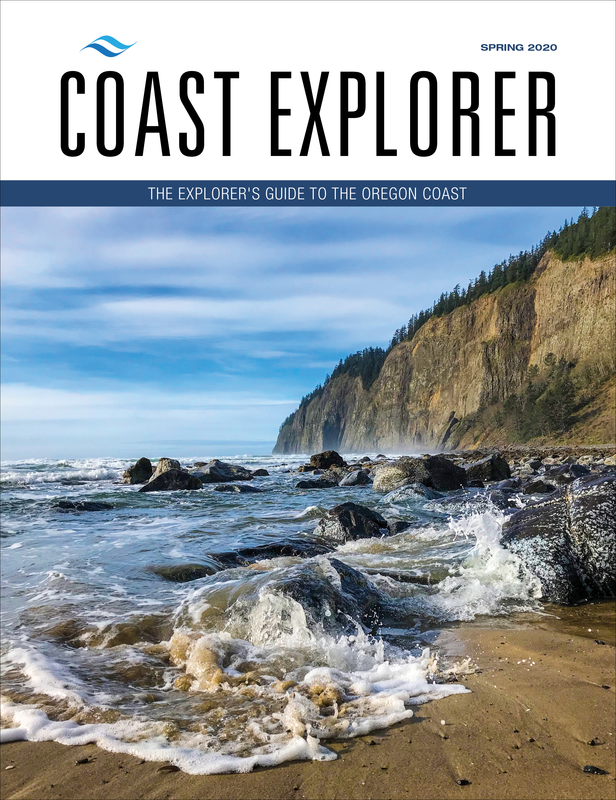 See Bald Eagles and Peregrine Falcons as they patrol the coast year-round. Other great bird watching locations include Ecola State Park, the downtown wetlands on Spruce Street and the now decommissioned water treatment ponds, just east of downtown on 2nd Street. 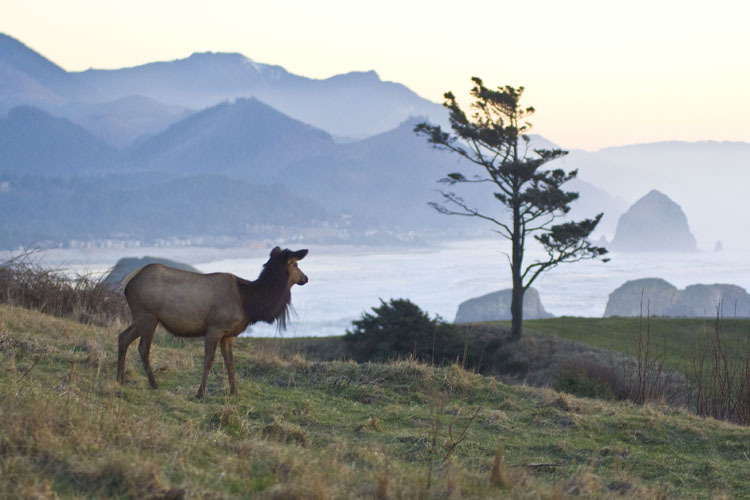 Visitors to Cannon Beach often encounter herds of Roosevelt Elk, calmly grazing in meadows or meandering through the forest. Elk are most frequently seen in early mornings and late evenings during the quiet seasons. Check the meadows at Ecola State Park or grassy areas of Les Shirley Park along the north shore of Ecola Creek. A nearby side trip for wildlife watchers is the Jewel Meadows Wildlife Area in the foothills of the Coast Range, a refuge for Roosevelt Elk. Large herds are often seen from the four viewing areas along State Highway 202. There's nothing like the experience of seeing a 30-ton Gray Whale surface and exhale with a "whoosh," sending a spout of mist and vapor into the air. Any walk on the beach or visit to Ecola State Park can become an encounter with these magnificent creatures, especially during peak migration times in early spring and winter. Bring your binoculars and check the rocks for basking sea lions and don't be surprised to find that seals are enjoying a little people watching, too. Oregon's sea stacks are remarkable geological formations, millions of years old. Sea stacks, including Haystack Rock, are the result of ancient continent-building lava flows to the sea. Hardening into basalt and after millions of years of dropping sea­ levels and erosion, these dramatic formations were sculpted into their present form. These sea stacks are outstanding bird watching locations, providing habitat for nesting sea birds. Bring binoculars, but don't attempt to climb these federally protected areas. They are closed to public access as part of the Oregon Islands National Wildlife Refuge. Some of the world's tallest and toughest trees reach to the heavens in the Pacific Northwest coastal rainforest. Forests near the ocean are dominated by one of nature's toughest customers, the Sitka Spruce that can stand up to the coast's lashing windstorms. Western Hemlock and Western Red Cedar also grow in this land of the giants. The forest floor is covered with thick layers of moss and this habitat is home to a wide variety of woodland birds and wildlife. Ecola State Park offers easy hiking trails through this unique eco-system.